Ever wanted to create a robot by your own? Ever imagined how a robot should be? Well it all takes imagination to create a robot. Few things you need are motley pile of familiar hardware such as nuts, bolts, screws, and the like. 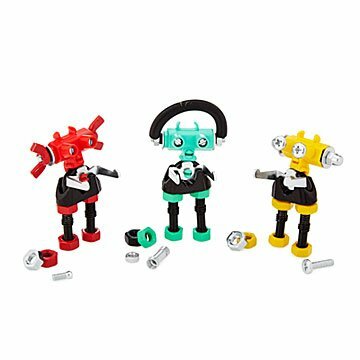 We have a kit for you and the most important about the kit is that the kit comes with detailed instructions for making three adorable robot characters. You must owe this if you really live in imagination.